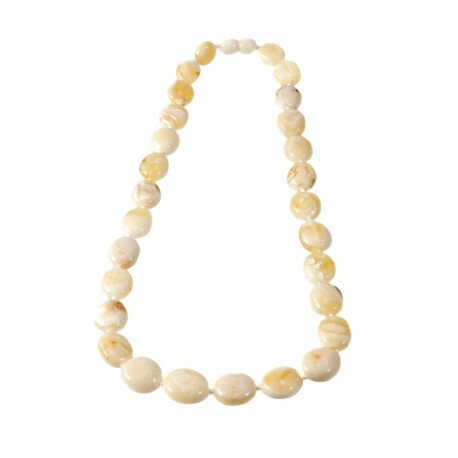 White classical oval amber beads. 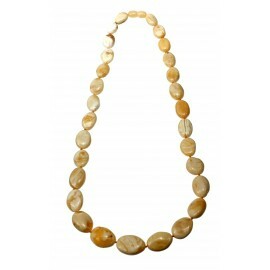 Amber pieces of rare hue are perfectly selected and reconciled. Evaluate them! 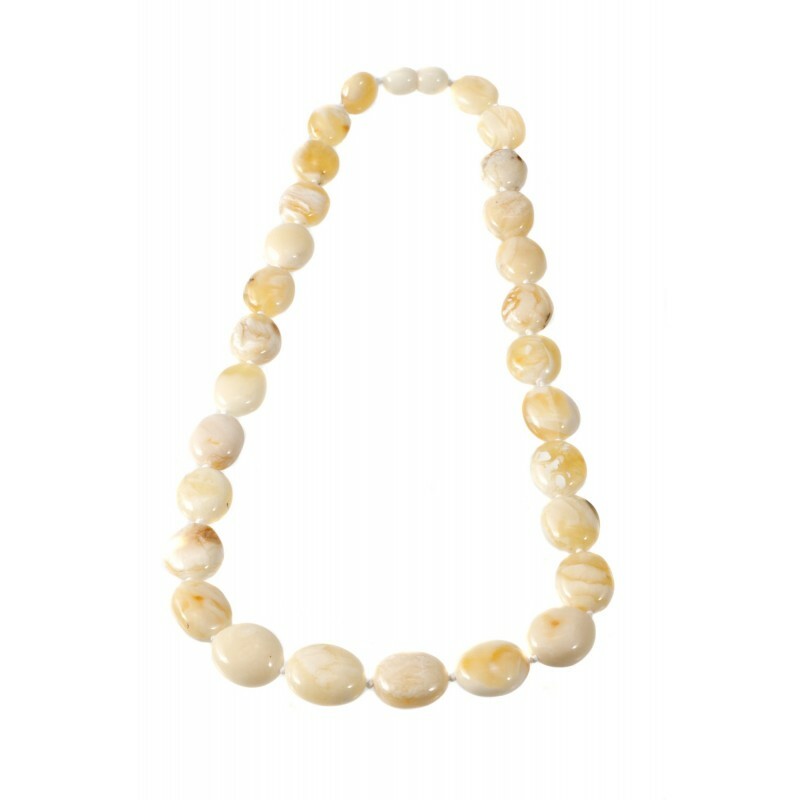 Yellow - white amber necklace "Purity"
Yellow and white shade amber bead, samely polished, gentle, oval-formed, pleasantly felt on the neck.